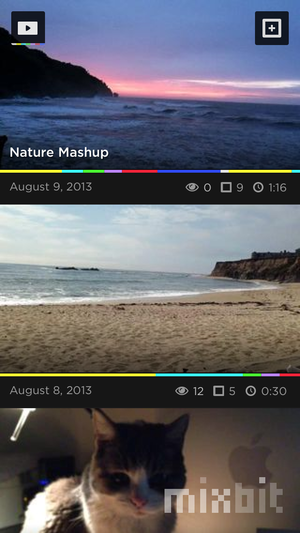 The operative concept behind MixBit, a new iPhone video sharing app from the good folks who brought us YouTube is mix. Created by AVOS Systems, a company led by YouTube cofounders Chad Hurley and Steve Chen, the free MixBit is currently on iOS but is soon destined for Android too. 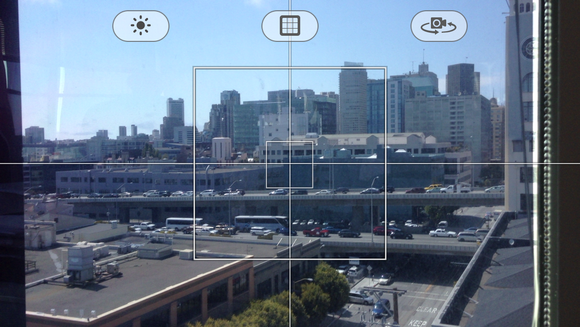 Shoot new clips or assemble clips from your Camera Roll. The difference between MixBit and the rather awesome YouTube Capture, Montaj, and a host of others—not to mention the ubiquitous Vine and Instagram—is a social swapping component that lets users in the MixBit community incorporate other people's content into their own videos. With the MixBit community behind you, you can create videos that you never would have been able to if left to your own devices. Individual clips can be up to 16 seconds long, and you're able to stitch up to 256 clips together for a movie spanning about an hour. This idea could work in certain instances, such as crowdsharing an event, or examining a popular theme (denoted by a hashtag), such as cats or the ocean. But given the sheer number of videos already posted on MixBit's site, it seems unlikely that most people are going to take the time to dig through that amount of content for the exact clip that fits into their Taco Stand tour de force. For one, you have to visit the website to make a project using other people's clips—you can't do it in the app. And strangely, you can't make a friends list, or search for clips by who shot them. Publicly shared MixBit videos are anonymous, which seems odd for a video-sharing app—will anyone bother to keep uploading videos if they can't build their own following? While MixBit is fairly easy to use once you learn your way around, the black minimalist interface at first seems counterintuitive and rough around the edges. A small icon at the upper-right leads to your video clips, while a plus icon in a square on the opposite corner leads you to the capture pane where the familiar red Record button resides. But it really shouldn't take an extra tap before you're able to record. The MixBit shooting interface. Tap the screen to start recording. The shooting screen, in landscape orientation (just say no to portrait videos!) has three icons. The light button illuminates your scene with the iPhone’s built-in LED. A focusing screen shows you where the app is focused on the scene, but you can't change the focus point unless you move the phone, nor can you zoom. The third icon activates the rear facing camera for shooting videos of yours truly. Hold your finger down on the screen to record footage, and lift your finger to stop. The multicolored bar below your video in the Review and Edit screens isn't just pretty—it actually serves the purpose of signifying the number of clips you've recorded by color, which is kind of a friendly idea. I kept thinking if I tapped on a color, I’d be able to bring up the associated clip, but no dice. No matter where you tap on your video, it always starts rolling from the beginning. After it begins, however, the individual clips appear below it as tappable squares. Once you select one, buttons let you trash it, edit its length, duplicate it, or bring in additional images and video from your Camera Roll—the ability to import from your Facebook albums or other social accounts would be a great addition. Finally, the Publish screen lets you title and hashtag your video, add a Foursquare-powered location, and publish to the MixBit community, as well as sending a link to Facebook, Twitter, or Google+. MixBit lets you access all your published videos in one pane. Once you've shot a few videos and created a MixBit account, there's more to navigate. The top icon hides four choices: Featured movies from the community, My Videos, My Projects, and Account. My Videos are movies you've published to MixBit in some form (Public for anyone to view and remix; Draft; or Limited, which are viewable by anyone you share the link with). My Projects holds your unpublished videos, but ironically, once you publish your videos to the MixBit website, they seem easier to deal with, as they're still editable, and each clip appears in a discrete unit that you can easily tap to view. 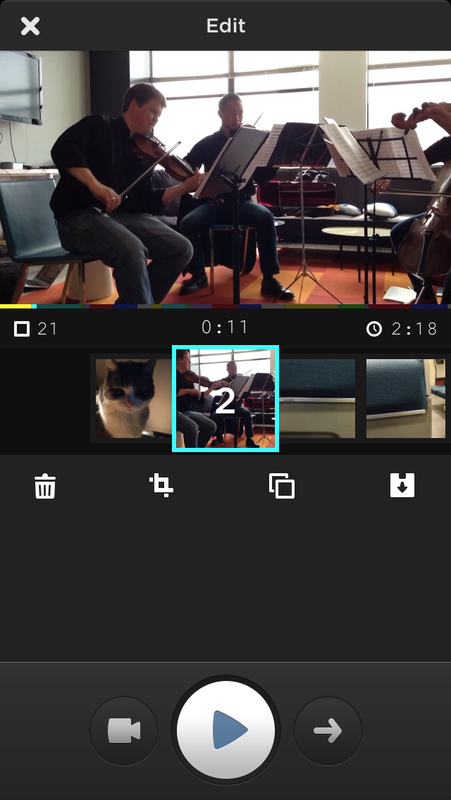 Because MixBit lets you mix in your own videos and images from your camera roll into your new footage, you can conceivably mix only old videos, if you like. And you don't even have to shoot anything yourself. Visitors to MixBit.com can make videos by remixing video clips they find on the site shot by others. 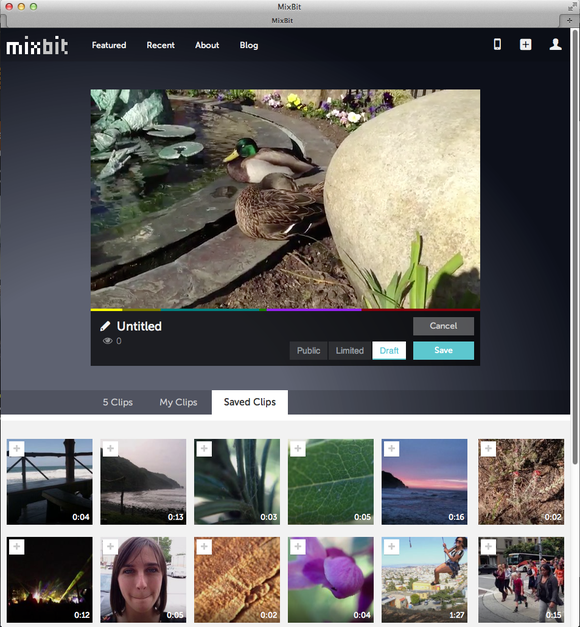 Use the MixBit website to gather clips from other users to incorporate into your videos. Click the Plus icon to add a video. Once you sign into the web app, you can then start a new project there using Saved Clips from your fellow MixBit users into your video. But you can only do this on the computer, not on your phone, which is a bummer. You can choose clips from online videos via phone (from a Featured video, just tap and hold the clips you like until you see a green checkmark), but you cannot incorporate them that way—a detail that's absent from the minimal documentation. If you have questions about MixBit, I suggest subscribing to its Twitter feed and asking from there. MixBit obviously thought a lot about how people will use this service, and spent considerable time trying to keep the community clean by setting out some broad ethical guidelines. MixBit is an intriguing idea that will likely not appeal to everyone, but it's definitely worth a try. For people who are frustrated with the limits of popular apps like Instagram and Vine, having an hour for an impromptu video may be a temptation too good to pass up. Besides, there's no law decreeing you have to use anyone else's video but your own, so you can just use the app to mash up your own stuff for an inspiring result. This story, "Hands on: MixBit is not another YouTube—but that's OK" was originally published by TechHive.